Mike Mulvey's side can close the gap with Brisbane at the bottom with a victory on Friday. Central Coast coach Mike Mulvey admits the staff and players are embarrassed to walk around Gosford as they lurch towards another horror finish to the season. 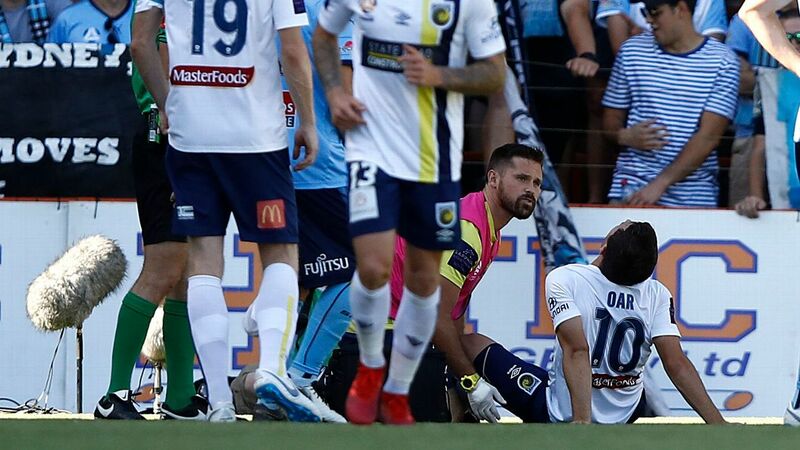 However, the Mariners will have one more shot at keeping the race to avoid the wooden spoon alive when they host ninth-placed Brisbane on Friday. With eight games to go in the regular season, the A-League's perennial battlers can close the gap between them and the Roar to just three points with victory. 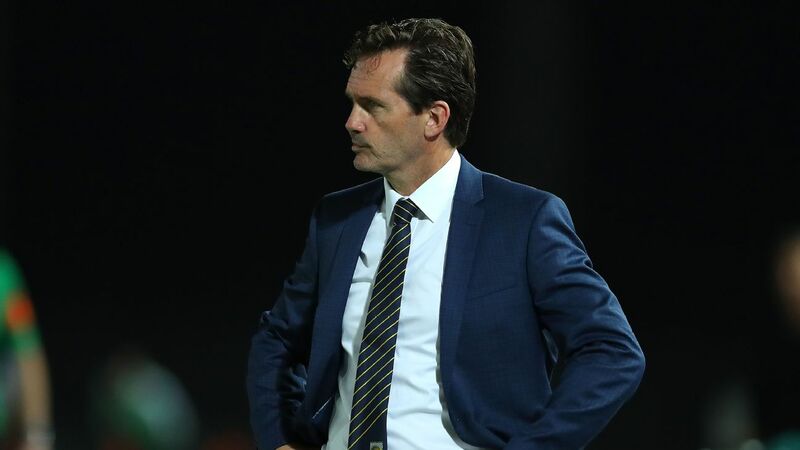 "It's actually quite embarrassing as coaches and players to walk around Gosford and Terrigal because we want to be able to give the fans something to cheer about," Mulvey told reporters on Thursday. "We've got a great opportunity to do that tomorrow night." Central Coast will have to tackle the assignment without Dutch import Tom Hiariej, who suffered a groin injury during training. He joins star midfielder Tommy Oar on the sideline after the former Socceroo suffered a season-ending knee injury last week. But while the Mariners have been beset by injury, the Roar are likely to unleash midseason signing Charles Lokolingoy. The 21-year-old joined the Roar earlier this month after being released by Sydney FC but has been unable to play for two weeks due to a bureaucratic error. Heart scans undertaken on Lokolingoy were insufficient for him to receive the medical clearance to be registered by the Roar, keeping him sidelined. New scans were organised, and his registration was finalised earlier this week, putting him in contention to make his club debut on Friday and possibly fill the void left by departed star Adam Taggart. "He hasn't played for a while, but he's been training well," interim coach Darren Davies said. "He has obviously got game time under his belt previously at Sydney this season, so he's got attributes which will contribute to our team. He's got different skill set to what we have. He's got different weapons. So we're really looking forward to having him on the pitch." The Roar travel to Gosford also boosted by the return from suspension of goalkeeper Jamie Young and Spanish midfielder Alex Lopez.